This easy recipe for cold-brewed yerba mate brews in the fridge overnight. It can be drunk straight, mixed with honey, or made into a yerba mate smoothie in the morning. 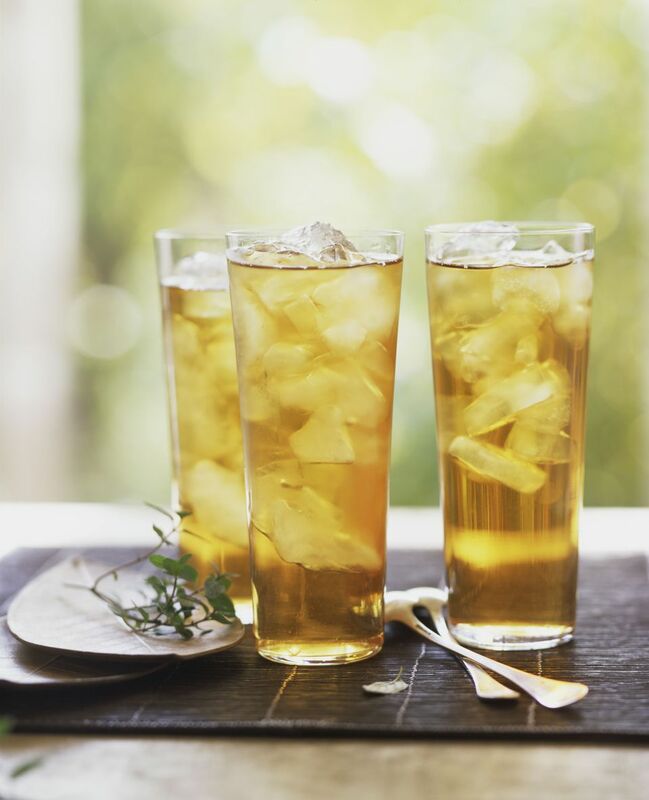 The flavor of brewed mate resembles an infusion of vegetables, herbs, grass and is reminiscent of some varieties of green tea. It can be bitter if steeped in boiling water. Flavored mate is also sold, in which the mate leaves are blended with other herbs (such as peppermint) or citrus rind. In Paraguay, Brazil and Argentina, a toasted version of mate is sold in teabags and in a loose leaf form. It is often served sweetened in specialized shops or on the street, either hot or iced, pure or with fruit juice (especially lime) or milk. In Argentina and southern Brazil, this is commonly consumed for breakfast or in a café for afternoon tea, often with a selection of sweet pastries. An iced, sweetened version of toasted mate is sold as an uncarbonated soft drink, with or without fruit flavoring. Yerba mate can also be found in various energy drinks on the market today. Yerba mate begins as a shrub and then matures to a tree and can grow up to 50 feet tall. The leaves are evergreen and are often called yerba (Spanish) or erva (Portuguese), both of which mean "herb". They contain caffeine and also contains related xanthine alkaloids and are harvested commercially. The flowers are small, greenish-white, with four petals. The fruit is a red drupe. Seeds used to germinate new plants are harvested from January until early spring only after they have turned dark purple. After harvest, they are submerged in water. New plants are started between March and May. When yerba mate is harvested, the branches are often dried by a wood fire, resulting in a smoky flavor. The plant Ilex paraguariensis can vary in strength of the flavor, caffeine levels and other nutrients depending on whether it is a male or female plant. Female plants tend to be milder in flavor and lower in caffeine. Combine water and yerba mate in a glass. Cover the glass with a small saucer or plastic wrap (optional). In the morning, strain the leaves or remove the teabags. Add honey or juice to taste.